Yes! I found a photo I took from the “New for Now” exhibition of which I couldn’t find the original in the Rijksmuseum’s collection. This is the painted version of the Arlequine print seen here. This was on display not on the wall, but laying horizontally in a display case under glass. That is why you can see my outline as I tried to shade the image to get as little glare as possible. If only my head were wider! I have spent many an hour “curating” my collection of fabulous, and I think I’m finished for the time being. 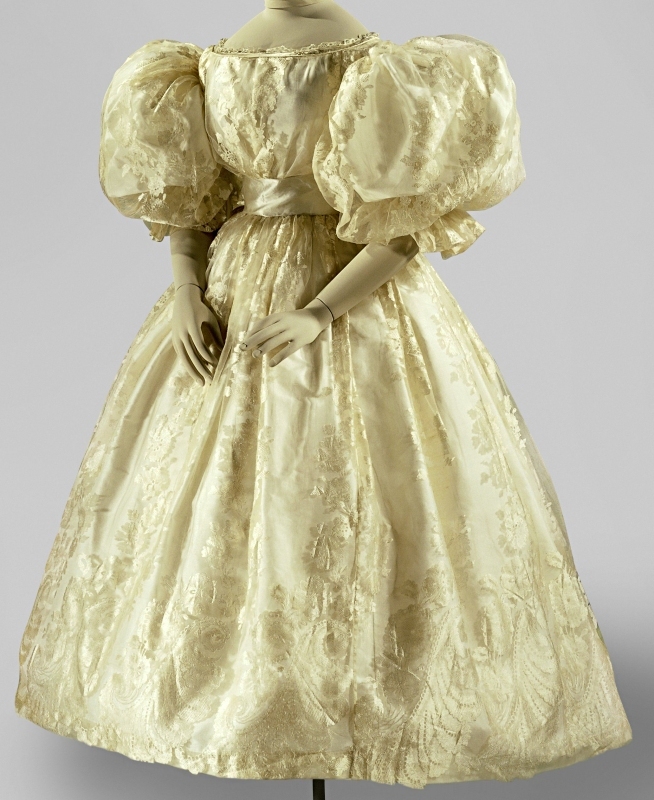 158 images, many of them fashion plates, but also a lot of actual physical fashion—dresses and accessories from the Rijksmuseum. Here is the link to the collection! And here are a few highlights. 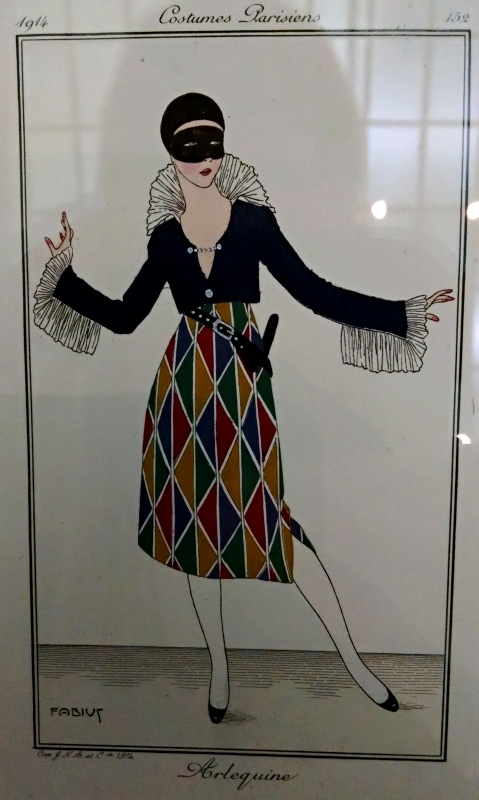 Le Monument du Costume, Robert Delaunay, 1777: This series of plates centres on the fashion, interiors and etiquette of the wealthy French elite around 1776. We follow a young lady du bon ton (of good taste). 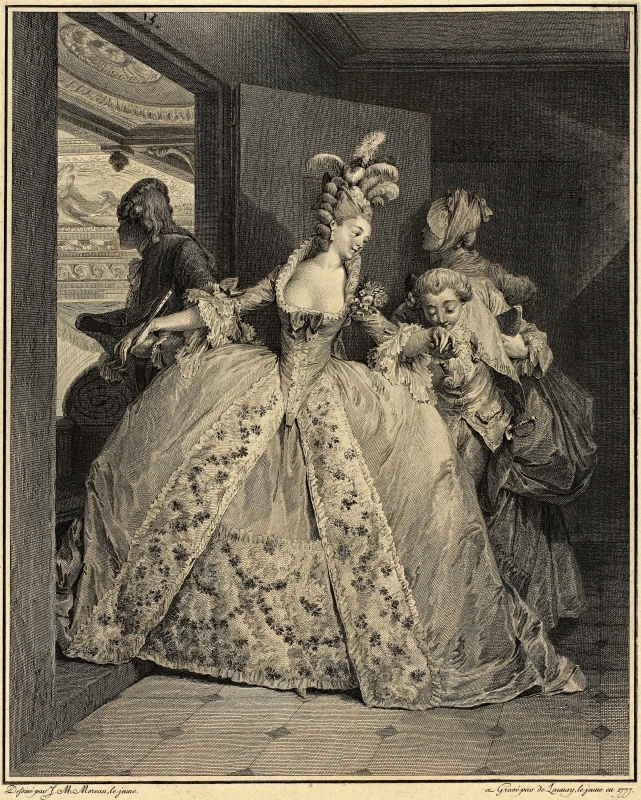 The opera demands a robe à la française, with a skirt so wide that she can pass through doorways only sideways. BOATS. WIGS. BOATS IN WIGS. BOATWIGS.